Over the last three years, social media marketing and blogging have grown to become effective tools in raising awareness and interacting with customers. So, marketers have started to spend much time and effort in expanding their digital strategy to include these techniques. Encouraging statistics stand in support of these mediums, too. 47% of all internet users are on Facebook; companies that maintain blogs have 97% more inbound links, and 23% of total internet usage time is devoted to social networks. These are a testament to the fact that social networks help raise brand awareness. But is that enough to gain and maintain customer loyalty? No. This is why businesses ought to introduce downloadable content in their strategy. 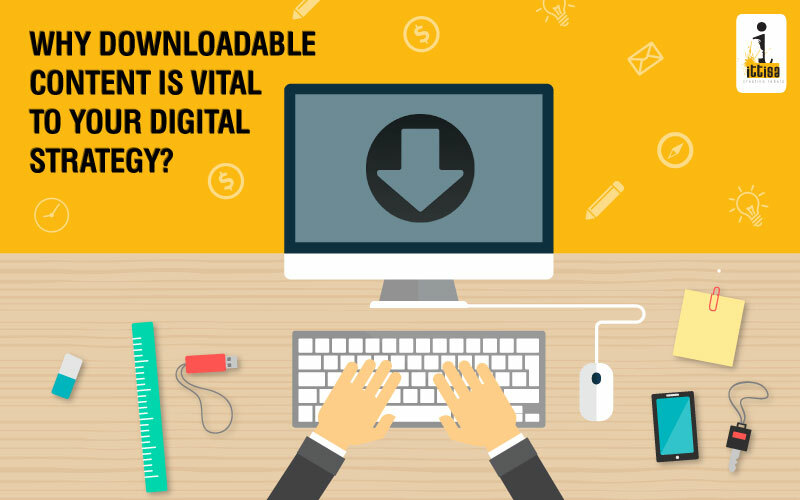 Why is downloadable content vital to your content marketing strategy? Leads: Every business needs leads. Gaining a loyal customer base is virtually impossible without leads. Lead generation helps you build trust in your prospective customers by nurturing them to a sales-ready position. Hers is where email marketing comes into the picture. By emailing prospective customers your content, you can make sure that your product/service is retained in their mind. So when it comes to choosing between you and a competitor, your product/service is the one they instantly recall. How does downloadable content fit into this? Downloadable content is necessary to gain access to the inboxes of your prospective customers. Without email addresses of those who matter, you cannot nurture leads. However, you cannot simply ask people for their contact details these days – there is an eternal fear of being spammed. But by creating downloadable content that they really want, you can make a trade for their email addresses! Downloadable content is usually referred to as an eBook or a whitepaper. It contains lots of valuable information that is appealing to your customers, information that they cannot find elsewhere. A good way to get your customers’ email addresses, is by requesting them for it when they request access to your whitepapers. What are ways in which you can pass on your content? The above form clicks with customers because it speaks their language. Details like social fans strike a chord with them without asking too much. How Do You Spread Word About Your Downloadable Content? Once you start talking more about your downloadable content, the more people will see it, and the more downloads you will gain. With downloadable content, you pull in people with important and informative blogs and networking sites, before leading them down your sales road. This is why we at Ittisa we believe that downloadable content is vital to your content marketing strategy. It is a sure shot way of turning strangers into customers through inbound marketing.